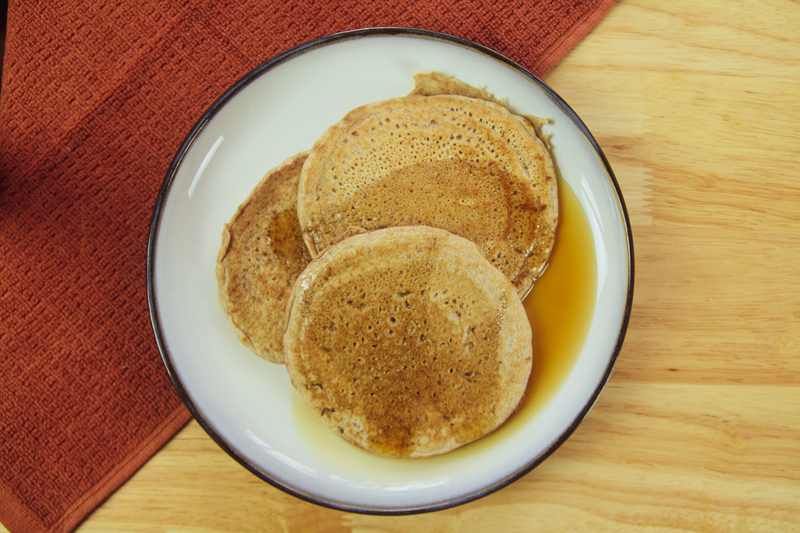 Enjoy these Simple Vegan Pumpkin Spice Pancakes for breakfast, brunch, or even dinner! They will surely get you into the fall mood. You don’t have to be vegan, vegetarian, or plant-based to enjoy this delicious fall recipe! If you love this recipe, you may enjoy my recipe for a homemade Pumpkin Spice Latte. 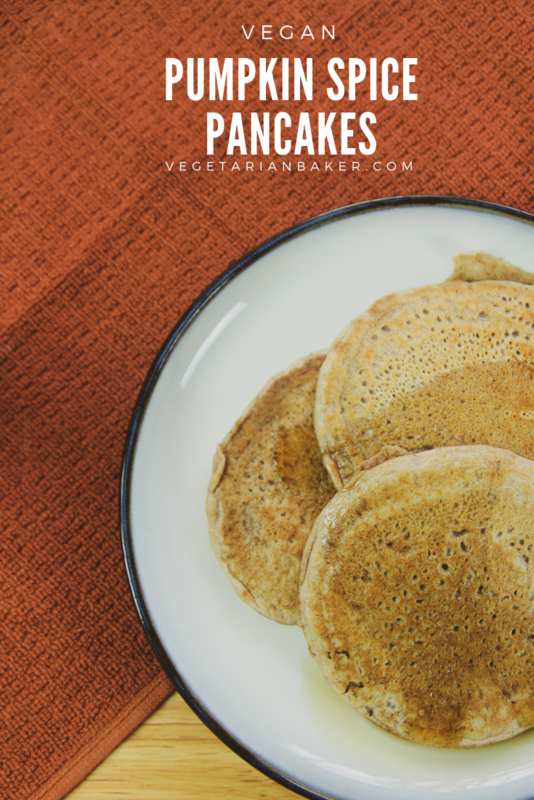 Enjoy these Simple Vegan Pumpkin Spice Pancakes for breakfast, brunch, or even dinner! They will surely get you into the fall mood. Combine almond milk and apple cider vinegar. Set aside. Add almond milk mixture, vanilla extract, and coconut oil to sifted flour. Whisk for 30-45 seconds until combined. It is ok if there are some lumps in the batter. Set aside while heating the pan. Heat pan on medium-high heat and spray with coconut oil. Place 1/4 cup of batter in the center of the pan. Let cook for 2-3 minutes before flipping. You will notice that edges of the pancakes are browning. Enjoy immediately or freeze until later use.